Available for a very limited number of interviews, Postol is professor of science, technology, and national security policy at MIT. He said today: “The American foreign policy establishment should not be surprised by Mr. Putin’s recent statements about Russian efforts to improve the capabilities of their nuclear forces against U.S. offensive nuclear forces and missile defenses. “The United States has created the appearance that it believes it can fight and win a nuclear war against Russia. 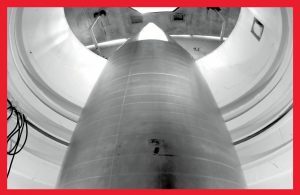 The U.S. is in the process of increasing the killing power of its nuclear ballistic missile forces against Russian ICBMs by a factor of three or more, and it is building missile defenses that suggest the U.S. believes it can strike Russia and and then defend against retaliation. It has issued a Nuclear Policy Review (NPR) that makes it clear that the U.S. could choose to use nuclear weapons first and at any time. In 2014, Postol wrote the piece “How the Obama Administration Learned to Stop Worrying and Love the Bomb” for The Nation.